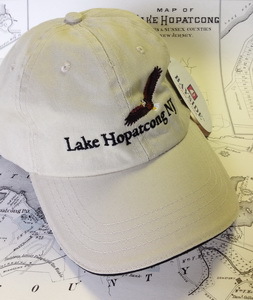 100% cotton twill cap celebrates the lake’s resident eagles. Color: stone with black trim, embroidered eagle. Adjustable strap. Made in USA. $18 plus shipping.